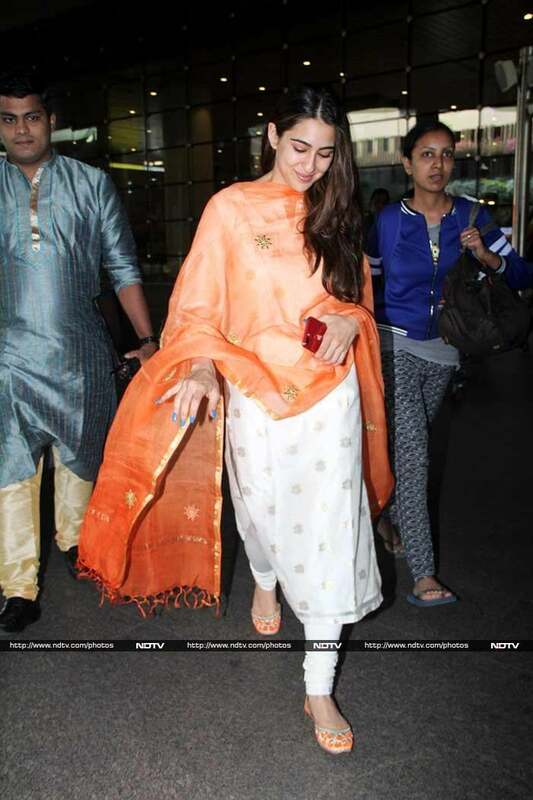 Simmba actress Sara Ali Khan was spotted at the Mumbai airport on Wednesday. She looked stunning in a white suit, which she paired with an orange dupatta. Sara's Simmba co-star Ranveer was photographed ta his quirkiest best. His swag was just off the charts. Student Of The Year actor Sidharth Malhotra was also spotted at the Mumbai airport. LoveYatri actress Warina Hussain looked pretty as ever in a black outfit. Jannat actress Sonal Chauhan was dressed in white.